Tejay van Garderen of the United States riding for the BMC Racing Team leads the pelaton up Boreas Pass during Stage 5 of the 2014 USA Pro Challenge. From Aug. 10-13, 2017, a new pro cycling race debuts in Colorado, with stages for men and women split between Breckenridge, Colorado Springs and Denver. 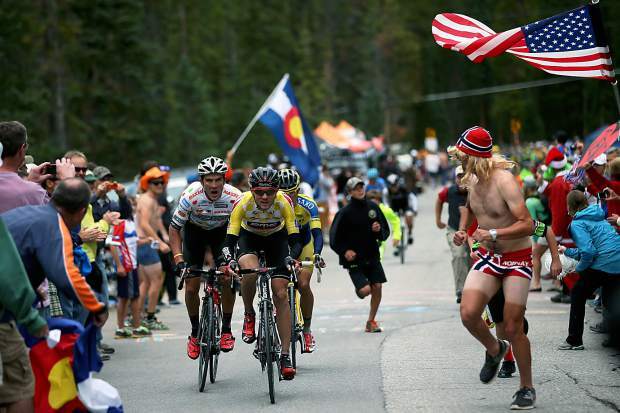 Volunteers are needed for an upcoming international pro-circuit bicycle race in Breckenridge. The Colorado Classic on Aug. 11 includes races for both men and women up the infamous Moonstone Road and through Main Street in Breckenridge. For more about the festivities surrounding the day of racing, go to BreckProCycling.com. Questions about volunteering should be emailed to volunteer director Mary Quinn at quinbilly@gmail.com.